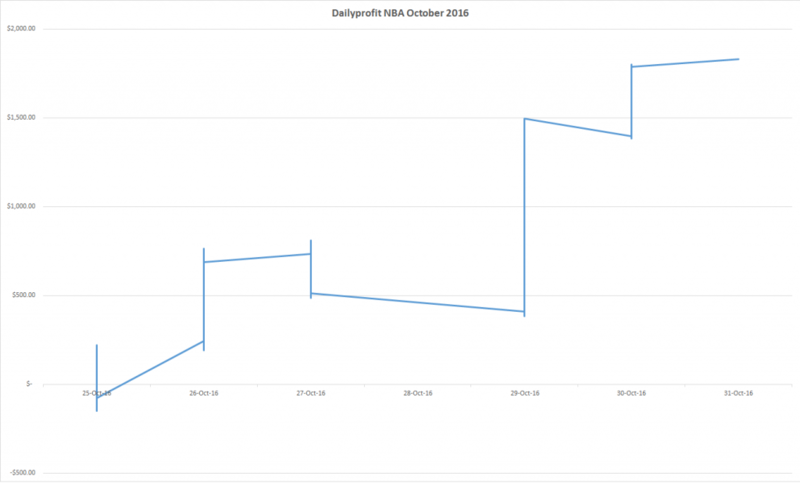 A tiny profit in October thanks to a typical fast start with the NBA model. But the introduction of the NFL totals spelled disaster for that model. In total, we placed 107 bets and won 56 of them (52.8%). We placed bets totaling 157.125 units ($15,712.50) and won 1.8574 units ($185.74). That is a 1.18% ROI. The previous update was a +10.3034 unit profit. We are now well into the NFL season and have begun with the NBA. Both have historically performed well for us with the NFL sitting on a 4.9% ROI after 511 bets and the NBA on a 5.2% ROI after 523 bets. These are also to advised odds that can easily be matched or beaten, so most members should have performed better than official results. 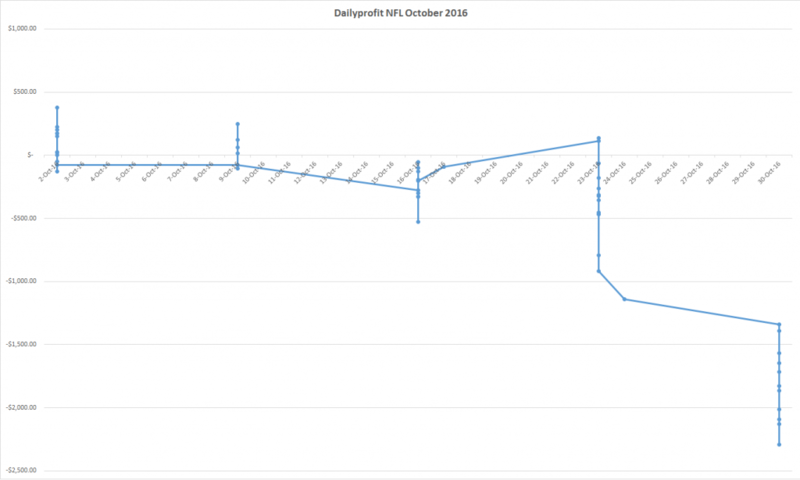 Last month the NFL returned a massive 17.8345 units. This month we gave almost all of it back. There were 56 bets and we won 23 (41.8%), lost 32 and pushed 1. The Line bets lost 6.7545 units and the Totals bets lost 9.6889 units. As you can see, the losses were all down to the final 2 weeks of the month. We welcomed the NBA season and told members to get on early as the model seems to perform amazingly in the first few months of the season before tailing off. The season started on the 25th of October so these results are only for the final 6 days of the month. The H2H bets made 6.9751 units profit and the Totals made 11.3257 units profit. That start is even better than I could have imagined. Nothing much to talk about this month in terms of results. Just 2 months left in the year and hoping for a traditional strong end to the year to make 2016 another great return for Dailyprofit SP members. 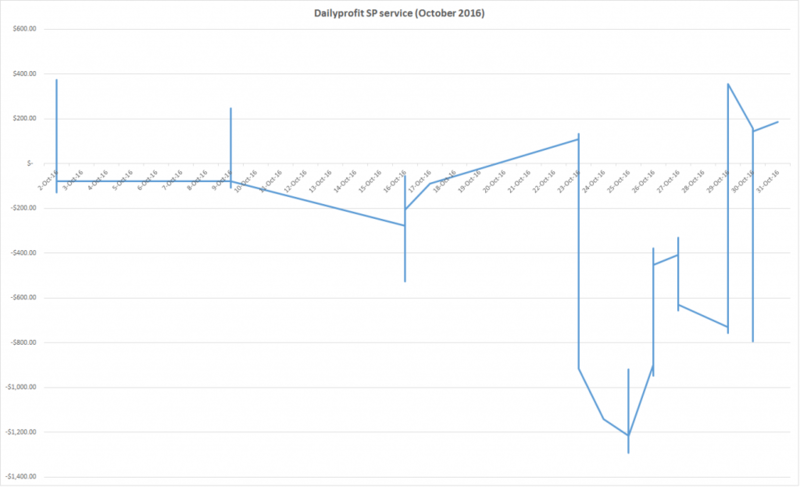 Members who have followed all SP models would be sitting on 24.4861 units profit at a 1.89% ROI. Not far off the 2-4% longterm return we are aiming for.